During her life Rebecca West was more renowned for her work as a journalist and critic than for her novels. An outspoken woman, she tackled many of the most hotly debated topics of her time: women’s rights, fascism, treason. Her work exhibits an originality and sureness of tone that implies an equally definite personality—a woman who did not brook opposition and stridently defended her beliefs. Yet she did not find life easy, and her personal history reveals a more fragile element in her character. Her two best novels, which blend her uncompromising authorial voice with her inner uncertainties, are ones she wrote as an older woman, when she could look back on childhood with an honest eye and show, through fiction, all the facets of her complex character. West was born in London in 1892, the youngest of three daughters, and christened Cecily Isabel Fairfield. Her father, an Anglo-Irish adventurer, worked as a journalist and then turned to financial speculation; her mother was an accomplished pianist. West maintained close relationships with her two sisters, but their bonds were tempestuous: the eldest, Letitia, seemed especially to threaten West with her achievements as a student and then as a successful physician—their relationship survived endless arguments and rivalry. The girls’ early schooling was erratic and took place in several different cities, thanks to their father’s wandering tendencies. Then, in 1901, he left the family altogether. His distraught wife retreated with her daughters to Edinburgh, where West attended a girls’ preparatory school. Despite her intellectual promise, however, she did not proceed to university; instead, at age eighteen, she moved to London, where she took a stab at acting. The experiment proved unsuccessful; she dropped out of the Academy of Dramatic Art after one year, retaining only the stage name that she soon adopted both publicly and privately: Rebecca West. Nevertheless, her move to London was a turning point. She joined the Freewoman Circle, a group of suffragists who published a feminist journal, and then discovered the Fabian Society and the socialist newspaper The Clarion. For both publications she wrote articles and reviews, attracting immediate attention with her incisive prose. One of her admirers was the Fabian H. G. Wells, a novelist twenty-six years older than she was, and they embarked on an intense affair. But in 1914, one year into the relationship, the arrival of a son heralded the end of their unmitigated happiness. Wells was unwilling to acknowledge his illegitimate son and banished West to the countryside. Resenting this treatment, West waited for the end of the war and then rented a flat of her own in London. Her independence brought some measure of contentment, but the relationship remained fraught with disagreements. 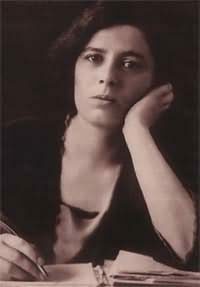 In 1918 West published her first novel, The Return of the Soldier, and its success, along with her work as a reviewer, journalist, and lecturer, established her reputation in both Britain and America as a woman of immense literary skill. Still, her career over the next decade was not all smooth sailing: in 1922 she published a stilted novel, The Judge, which did not please her readers, and the trials of writing it, combined with the negative reviews it received, brought her to the brink of a nervous breakdown. Though she was prolific in her journalistic writing, fiction, for most of her life, cost her a great deal of pain and effort. In 1930, when she was thirty-seven years old, West married a banker named Henry Andrews. Her new husband had spent his childhood in Germany and been interned there during World War I. Spurred by his stories, West observed Hitler’s growing influence in Europe with deep apprehension and a reporter’s interest that led to much of her most interesting non-fiction, including Black Lamb and Grey Falcon (1941), a monumental work on Balkan history and culture, and The Meaning of Treason (1947). In the latter decades of her life, untiring and determined as ever, West continued to write about events all over the world. She died in 1983, a Dame of the British Empire. West’s fiction varies in both genre and quality. The Return of the Soldier is a compact study of shell-shock and amnesia; Harriet Hume (1929) is a feminist fantasy; The Thinking Reed (1936) critiques elite society; The Birds Fall Down (1966) is a historical spy-thriller. All her novels explore issues close to West’s heart. Her stories sprang not from characters but from subjects, and this avenue into fiction often resulted in self-conscious prose and an over-insistence on particular themes. 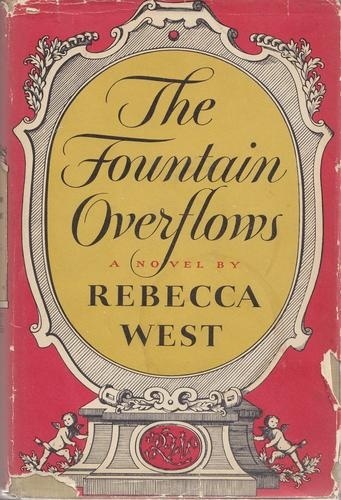 In 1956, however, when West was sixty-four, she published The Fountain Overflows. It was a significant departure from her earlier novels: autobiographical in origin, warm in tone, unhampered by an overarching mission. Indeed, West’s central aim in writing the book was to recapture the many strands of her youth, and the result is a magnificent work of literature. The Fountain Overflows is narrated by Rose Aubrey, one of four Aubrey children. Because the story is told in her voice, West’s know-it-all manner, which grates in other novels, here becomes appropriate: Rose herself is headstrong and opinionated, like every member of her family. But she is also fearful and uncertain, insecure about her musical talent in a family of prodigies and haunted by her father’s intemperance with money. The candor and youthful passion of Rose’s narrative make this novel, along with its sequel, This Real Night (published posthumously in 1984), West’s finest work. The unfinished third entry in the trilogy, Cousin Rosamund (also published posthumously), is far less successful because it brings Rose and her siblings into adulthood, thus losing the child’s-eye view that contributes so much to the earlier novels. West was not a woman to indulge in sentimentality, nor to favor self-promotion over honesty. Though The Fountain Overflows immerses the reader in a cozy turn-of-the-century world, its comforts are threatened by poverty and loss. Rose’s father, like West’s own, subjects his family to years of precarious drifting before abandoning them altogether. Her mother, a musical virtuoso who gave up her career to raise her children, tries desperately to keep the family afloat while insisting that the children continue their musical studies. She is clearly based on West’s own mother, but the exceptional musical talents of Rose and her twin, Mary, are fictional. West uses music in the novel to explore the nature of genius—its demands, its glory, its ruthlessness. Much of Rose’s egotism, which appears both in her callous treatment of Cordelia, the untalented oldest daughter, and in her drive to succeed as a pianist, stems from the doubtful future that awaits all the Aubrey women. West does not shy away from tracing the connections between talent and money, nor from highlighting the difficulties that professional women faced in the Edwardian era. The novel’s characters are so vividly drawn that sometimes they seem more legendary than realistic. Clare Aubrey, Rose’s mother, is a magician at the piano but hopelessly inept with clothes and etiquette, ready to sacrifice everything for her children but unable to suppress her irritation at their foibles. She sets the tone of the Aubrey family, and her daughters follow her lead. The exception is her youngest child, Richard Quin. The joyful pet of the family, irrepressibly friendly and blithe, Richard Quin adds an element of splendor to the novel. His counterpart is the Aubreys’ cousin, Rosamund. Blonde and beautiful like Richard Quin, she is a shy girl—tall, capable, oddly vacant. Together these two seem to access a layer of reality hidden from the other Aubreys. They do not share Rose’s fierce worries about the future, nor Mary’s obsessive interest in music, nor Cordelia’s self-absorption. Instead they are content merely to exist, and to shield the Aubreys whenever possible with their careless grace. If Clare Aubrey is the family’s presiding genius, then Richard Quin and Rosamund are its guardian angels, remote but unfailingly loyal. The mysteriousness of The Fountain Overflows does not manifest itself solely in the novel’s characters. Rose first meets her cousin because Rosamund and her mother are trapped in a house besieged by a poltergeist. Clare finally tracks them down, and her entrance into the house lays the ghost to rest—but not before Rose has seen it in action. From this description one might think that the book is a fantasy or a British variant on magical realism, but neither label is accurate. The novel takes place in the real London of the 1900s; it is simply that the Aubreys are an unusual family—sometimes they stumble onto another plane of existence, where poltergeists are possible. West adroitly manipulates the ambiguity of these interludes, implying that they may be products of Rose’s imagination but undercutting that implication with bald assertions of their reality. Imagined or not, the supernatural episodes meet with matter-of-fact acceptance from Rose and her family, and the Aubreys’ assumption that such events are normal adds to their own strangeness. Both The Fountain Overflows and This Real Night are remarkable for their distinctive settings. West presents a series of places so striking in their details and mood that they become as memorable as the people who inhabit them. The Aubreys often go to visit friends who own a pub on the Thames, and these expeditions allow West to paint an idyllic vision of country life, complete with languid boat-rides and woodland strolls. Typically, however, West emphasizes the peaceful ambience by contrasting it with a frightening scene in the bar—drunken men, threats, smashed bottles—that adds a lurking menace to the Aubreys’ pastoral haven. Equally vivid is her portrait of the Houses of Parliament, which Rose visits on a rare outing with her father. The brown, stuffy rooms and the heaviness of their history evoke a brooding atmosphere that bears West’s unmistakable signature. “Oh, my dear Piers, I know the work is not worthy of you,” said Mamma warmly. “Yet what a godsend it is, how lucky it is that Mr. Morpurgo should happen to own such a paper, and how good it is of him to want to help you—” She faltered before she came to the end of her sentence. “Again,” said Papa absently, simply supplying the word. “Yes, it is odd that such a rich man as Morpurgo should bother himself with a thing like the Lovegrove Gazette. It brings in a fair profit for what it is, so they tell me, but it is very small beer for a man with those enormous interests. But I suppose if one accumulates a great fortune all sorts of rags and bones get mixed with the diamonds and the nuggets.” He retired once more into his dream. His grey eyes, bright under his straight black brows, pierced the walls of the farmhouse parlour. Even though I was a very little girl I knew that he was imagining what it was like to be a millionaire. “I know, I know,” said Papa, sadly but impatiently. All this happened more than fifty years ago, and my parents were not making a fuss about nothing. In those days few respectable people were willing to let their homes furnished, and no respectable people ever wanted to take them. “I suppose it is valuable,” said Papa thoughtfully. “Was Uncle Richard Quin there too?” I asked. Papa’s brother had died in India of fever when he was twenty-one. He had been christened Richard Quinbury to distinguish him from another Richard in the family, and Papa had loved him so much that he had called our little brother by his name, and we regarded our little brother as much the nicest of us four children, so we thought of our dead uncle as a joy stolen from us and were always trying to recover him in our father’s stories. Here lies the secret of the hyper-real atmosphere that West calls up in these two novels. The Aubreys experience a life replete with radiance, magic, and dread because they experience it together. Through the bonds that unite these gifted and argumentative characters, West explores the power of close-knit families, and in doing so she draws the reader too into the Aubreys’ charmed circle. Learn more about Rebecca West’s novels on Amazon and Goodreads.